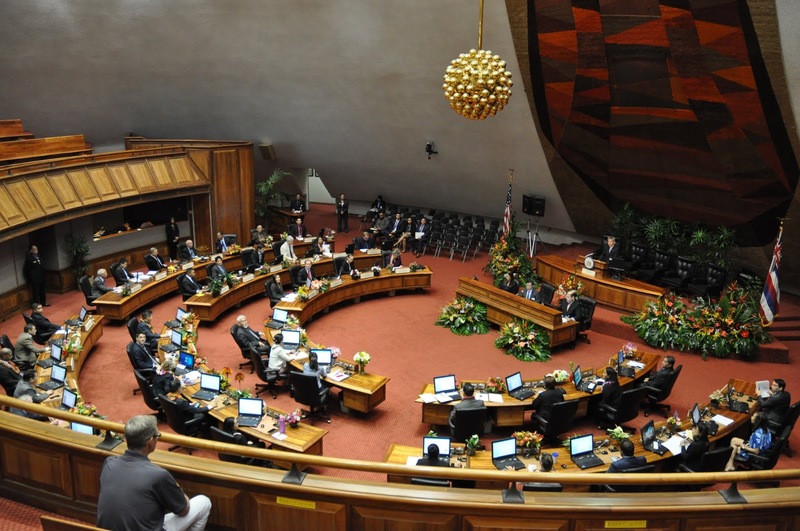 Honolulu, Hawaiʻi – The House of Representatives passed 127 bills on third reading today, moving them to the Senate for their consideration. 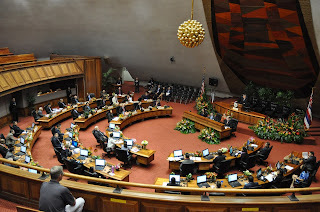 The bills include disaster relief for Hawaiʻi Island for damages and losses caused by the eruption of Kilauea volcano, homelessness, health, public safety, firearms, and other important issues. HB 1180 HD1 Appropriates $60 million for disaster relief, recovery, mitigation, and remediation activities for the County of Hawaiʻi. Requires reporting of monthly expenditures to the Department of Budget and Finance. HB582 HD 2 Establishes and amends provisions relating to the care of the elderly and disabled in state-licensed care facilities. The bill authorizes the Department of Health to conduct unannounced visits for the inspection to relicense adult residential care homes and requires that adult day care centers be licensed or certified by the Department of Health. HB 713 HD 1 Establishes a 3-year Homeless Employment Grant Program that provides homeless individuals with work opportunities and connects them with service providers. Requires the Department of Human Services to submit a report to the Legislature prior to the 2020 Regular Session. HB 1153 HD1 Requires each house of the Legislature to establish, by rule, procedures for the public to present oral testimony at legislative committee hearings through remote testimony. HB 314 HD1 Requires a certificate issuer to redeem the remaining value of a gift certificate for cash if the gift certificate has a value less than $5. HB 720 HD 1 Requires firearm owners to report lost, stolen, or destroyed firearms. HB 1177 HD 1 Appropriates funds to purchase the Honolulu Federal Detention Center. HB 1488 HD 1 Requires the Department of Accounting and General Services, in consultation with the Legislature and appropriate agencies, to develop and implement an enhanced security plan for the State Capitol. Appropriates funds to DAGS for enhanced security measures and security improvements, including vehicular barriers and for the Department of Public Safety to purchase or lease security screening equipment and contract private screening personnel for the State Capitol.